This programme is offered by the Institute for Energy Systems which is part of the School of Engineering at the University of Edinburgh. The Institute conducts world-class inter-disciplinary research into the systems that control the conversion, transmission and utilisation of many forms of energy. Research activity ranges from fundamental research to applied work to policy studies. The MSc in Sustainable Energy Systems provides graduates and working professionals with a broad training in, and understanding of, energy systems in the context of the sustainability of energy supply. The program is grounded in engineering and has a strong emphasis on energy systems where electricity is the final product. However, energy is also considered in the wider context of consumption patterns, efficiency, economics, policy and regulation. While there is particular focus on the deployment of renewable energies in grid-connected systems, there are also opportunities to explore off-grid systems e.g. in dissertation projects. To give a practical edge to the gained theoretical knowledge, a number of field trips will be organised to local power stations, subject to approval of the management of power stations. Accreditation of this MSc for CEng (Further Learning) means that our graduates who are seeking to become Chartered Engineers can count their MSc as one year of Further Learning when applying for the Chartered Engineer status. The CEng accreditation is awarded by an independent professional body, in our case the Energy Institute. It gives students and employers confidence in the quality of the MSc Sustainable Energy Systems programme. Students are automatically members of the Institute, and graduates can apply to become full members of the Institute. non-engineers who are seeking a good understanding of the engineering aspects of energy systems so that they can work within this sector, including in partnership with engineers where required (typically, those include physicists as well as chemists, mathematicians and other numerate, scientific disciplines. Exceptionally graduates from other disciplines outside science and engineering are accepted. Please note that a prior knowledge of Mathematics to first year University level is required as a strict minimum). Students are able to vary their study programmes to some extent, to suit their interests and aspirations through their choice of optional modules and research projects. The course attracts applicants from the UK, Europe and Overseas: in the 2017/18 intake there were 69 students from 23 different countries. An appreciation of the constraints and opportunities provided by renewable energy resources within pre-existing energy systems, societies, markets and regulatory frameworks. An ability to quantify energy flows, environmental impacts, principal aspects of different generation technologies and design specifications and dimensions. A knowledge of the technical characteristics and resource evaluation of some of the major renewable power sources (wind, solar, tidal and wave), and the theory underpinning their operation and performance. An ability to develop preliminary technology assessments and exploitation plans for tidal and wave, and preliminary design and dimensioning for wind and solar (thermal or photovoltaic) systems (which are more mature technologies than tidal and wave). An understanding of the engineering aspects of power conversion for electricity grids, in particular concerned with the connection of renewable power sources, supported by calculations. An understanding of the problems of energy distribution and the constraints on present distribution systems. An understanding of some of the major economic theories describing the markets in which renewable energies are deployed. An ability to conduct a critical analysis of competing claims in the energy sector, and evaluate options for energy supply, distribution and utilisation (including renewable and non-renewable) and to appraise the environmental sustainability of energy systems. An ability to design, plan and execute an original programme of work appropriate to answering research or design questions regarding sustainable energy systems. The animated world map below demonstrates the global appeal of our MSc in Sustainable Energy Systems. We have highlighted the country of origin of each student cohort from 2004 to 2017. Each course consists of a balance of lectures, seminars, workshops and visits. Please note that optional courses may vary depending on timetable constraints. Students will also choose 20 credits of available courses from the Schools of Engineering, GeoSciences, Mathematics, and Social and Political Science, and from Scotland's Rural College. All students will also choose a complement of optional courses so that their total number of credits for Semester 2 is adding up to 60. The optional courses can be selected from available courses from the Schools of Engineering, GeoSciences, Mathematics, and Social and Political Science, and from Scotland's Rural College. Some external funding bodies offer opportunities in Sustainable Energy Systems. This list is not exhaustive, please also check visit the University's scholarships website to find out more. Overseas students may apply to their local office of the British Council for a Chevening Scholarship. These provide opportunities for graduate studies leading to master's degree in development-related fields for mid-career professionals from eligible World Bank member countries. Further details can be found on the Worldbank Scholarships website. AVANGRID and Scottish Power Foundation scholarships include enrolment at The University of Edinburgh and a generous regular bursary to cover per diem and monthly expenses. Further information on this scholarship, including application information, can be found on the University of Edinburgh Scholarships website. A scholarship awarded to full time master's students from developing countries studying in Sustainable Energy Development. Today, the need for globally-oriented practitioners and researchers is growing rapidly. Our one-of-a-kind scholarship program fosters the next generation of energy and electricity sector specialists who will be prepared to tackle the challenges of the future. Energy issues and climate change are rarely out of the news, showing the vital importance of these challenges and highlights the growing need for graduates who command the appropriate skills and knowledge to make a difference. This view is supported by the rapid growth in employment opportunities in the energy and environmental sectors. Graduates from our MSc Programme go on to a wide range of activities. Some take up PhD opportunities at Edinburgh and elsewhere; some return to jobs and academia in their own countries; some take up employment with well-known companies in Scotland and the UK, e.g. with energy utilities/companies (National Grid Co, E.ON, Areva T&D, ABB, Shell, Bosch), energy consultancies (WS Atkins, Halcrow, Garrad Hassan, Elders Consulting Eng. LLP), construction companies (MW Kellogg, Arup, Faber Maunsell AECOM) and wind/marine renewable companies (Aquamarine Power, Community Windpower), as well as elsewhere in the EU. "My time in the Sustainable Energy Systems Master’s programme gave me a broad-based understanding of renewable energy and opened my eyes to the breadth of possibilities for research, further study, and career development in this field. The world-class faculty challenged me to analyse the complexities around energy systems in our daily lives, and this, in turn, deeply enriched my personal connection and commitment to sustainability. I formed life-long friendships whilst at Edinburgh and am thankful everyday that I decided to undertake study in the SES programme." "Overall I had a great experience with the MSc. I chose the programme, the University and Edinburgh for my post graduate studies for a number of reasons and to accomplish two primary objectives: first was to help facilitate a career transition to the clean tech/renewable energy field (previously I was in the field of marine/naval operations/transportation with my undergrad in naval architecture and marine engineering) and second was to expand my personal knowledge of energy systems and particularly renewable energy. Completion of the course achieved both of those objectives to a level I was very satisfied with. Furthermore, it was amazing to be part of such a diverse and interesting group in terms of my classmates, who came from 19 countries spanning 5 continents, as well as the faculty, staff and other postgrad researchers at the Institute for Energy Systems and the University as a whole. Plus Edinburgh was a wonderful place to study and live." "The MSc in Sustainable Energy Systems offers a brilliant range of courses that allows the student to acquire knowledge over a wide spectrum of technical, economic, policy and environmental issues concerning the development of Renewable Energy Sources. The lectures are interesting to attend and provide the knowledge required for standing out in the job market." "MSc SES is a well-balanced and insightful programme on renewable energy. It gives a student necessary background and knowledge to fully understand the nature of various resources, their value and techniques to exploit them. Moreover, the programme has a broad syllabus, which aims to improve students’ skills not only in the field of engineering, but also in the areas such as economics, politics and environmental studies. The material presented during the lectures and tutorials was understandable and clear, and professors were always helpful and eager to answer any questions or doubts. Therefore, I am really happy that I have got a chance to study this master’s course in the University of Edinburgh and I am really thankful to all the professors and members of the staff which took part in my education." "I have learnt a lot!" "I will not say that the MSc in Sustainable Energy Systems (SES) opened my eyes to the political, economic, and environmental problems surrounding the production and use of energy, because these reasons are the very ones that enticed me to pursue this course of study. But now I have completed this course, I feel that I, and all my classmates, have a much better understanding of the complexity and scope of the energy problems we face. The MSc SES program is a well rounded one. Although concentrating on the engineering aspects of energy production and use, the program never loses site of the fact that the technical difficulties do not operate in a bubble and that political and economic factors can be just as important. The highlight of the program for me was the dissertation. I was able to work with a community on the Isle of Jura off the west coast of Scotland. I worked towards installing wind turbines to provide electricity and a source of income. I was able to visit the Isle of Jura as part of my project. In combination with being vital to my dissertation, I will never forget the beauty of the western island and the warmth of the people. Meeting the people that would directly benefit from the production of electricity from the wind really drove home what I was studying towards. Although getting to experience life outside of Edinburgh was amazing, life in Edinburgh as an MSc student was also a delight. The international nature of the school and city offer a wide range of people to meet and things to do. Although it can be very cold and dark in the winter, it just makes the warm glow of the pub and a pint with good friends that much more enjoyable. " "I am currently working for Alstom Grid UK in Stafford, Staffordshire, as I was accepted in their graduate development programme. I feel that the MSc programme did not give as much in-depth technical background as it could, but, on the other hand, it offered a broad range of knowledge on renewable technologies. The curriculum was a very organised and lectures were up-to-date with current technology and touched on interesting issues on the subject of Sustainable Energy Systems." "One of the main reasons I was selected for my current job was the SES Master's programme. During the interview, it was mentioned that my study at the University of Edinburgh had caught their attention; having discussed the skills and knowledge that I had acquired, the panel decided to take me on as a Wind Energy Project Engineer." "After the MSc, I've done a traineeship in the European Commission, which I finished, and now work as a Management Consultant for a firm in Madrid. I would like to say that during my year in the MSc I acquired a lot of knowledge, but also skills that are helping me a lot in my professional career." "Scotland is at the forefront of of renewable energy development in Europe, and the scope and quality of this MSc course reflects that fact. The MSc lecturers are experienced leaders in their fields, whether in engineering, R&D or policy, and in my opinion they were the key to making the course both challenging and rewarding." "As physicist, the current MSc was a great opportunity for me to obtain engineering skills and to broad my career choices. I recommend it to anyone who wants to get good quality of knowledge, working hard next to brilliant teachers. Do not forget Edinburgh is fantastic!" "The international atmosphere of this MSc really made me acquainted with people from all over the world. And the state-of-the-art teaching quality made my first exposure to British education satisfactory. I hope the knowledge, as well as experience here will lay foundations for my future career." "The MSc in Sustainable Energy Systems was very interesting and challenging and I am happy that I have chosen this course over other similar courses in supposedly better universities. I enjoyed the variety of optional courses that we could choose." 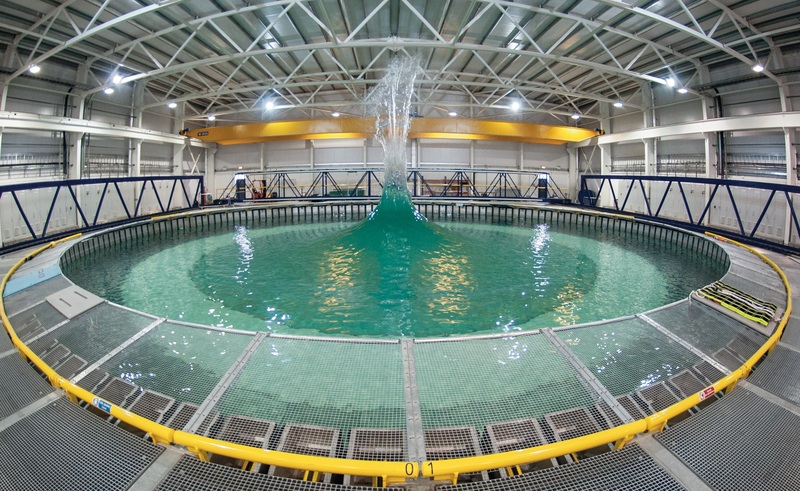 "I've started work for OpenHydro, it's going great, the MSc prepared me well." "I thoroughly enjoyed the course and believe that it has helped me get into a career that I enjoy and that has the potential to develop. My favourite bits of the course would have to have been the power systems lectures with the camaraderie of the group sessions in the computer lab as well as the broad overview that the all the different lectures made up." "The MSc in Sustainable Energy Systems was an intense but very enjoyable and worthwhile course where we were introduced to many of the issues, technologies and possibilities surrounding the energy industry. After the course, I quickly got employment with a Scottish wave energy developer and am now working in an exciting and dynamic market which I thoroughly enjoy. Without the experience and tuition of leading academics at Edinburgh University this would simply not have been possible. I would certainly recommend this course for anyone who is interested in renewable energy and would like to further develop their skill set to enhance their employment opportunities." "Studying at an internationally renowned university and graduating with an MSc in a rapidly growing field has opened many doors for me. I am currently working in Spain with the MSc being key to getting the job I wanted. Living in Edinburgh is also a great experience!" "I found the course interesting and challenging and the MSc in Sustainable Energy Systems enabled me to make a smooth industry transition into the rapidly growing Renewable Energy Sector in the UK." "I think the MSc was a great experience for me. I found the course both fascinating and challenging. I have learnt a lot in Edinburgh about sustainable energy systems and am delighted with the variety of information I acquired over the last year. Being in our current climate, I believe I would not have my job if not for the MSc in Sustainable Energy." "The past one year was exacting and significant for me, an oversea student coming from China. I was very happy in an international class, and I enjoyed studying each course with my colleagues who helped me a lot. I also enjoyed my thesis project." "The MSc in Sustainable Energy Systems is a very well rounded course with a broad spectrum approach to sustainability. The course covers technical modules, but also allows the students to choose from a range of modules including policy, innovation, economics, management and environmental classes, allowing them to tailor the course to meet their own specific needs. A demanding course, with great rewards." This programme is affiliated with the University's Global Environment and Society Academy. The GESA seek to tackle global environmental challenges through teaching, research and outreach.